The continuing purpose of Lord and Savior Christian School is to serve as a tool for the Holy Spirit to "...make disciples of all nations." To that end, Lord and Savior will present to the families of our school a clear message of God's plan of salvation through word and example, teach all subject matter on the basis of the inspired Word of God, prepare children to live lives that "thank and praise, serve and obey Him," and finally to assist parents in the spiritual training of their children. Lord and Savior Lutheran School admits students of any race, color, and national or ethnic origin to all the rights, privileges, programs, and activities generally accorded or made available to students at the school. The school does not discriminate on the basis of race, color, national or ethnic origin in administration of educational policies, calling of teachers, hiring of staff, admissions policies, scholarship or loan programs, or athletic and other school administered programs. Illinois enacted the Invest in Kids Scholarship Tax Credit Program in 2017. This program offers a 75% income tax credit to individuals and businesses that contribute to qualified Scholarship Granting Organizations (SGOs.) 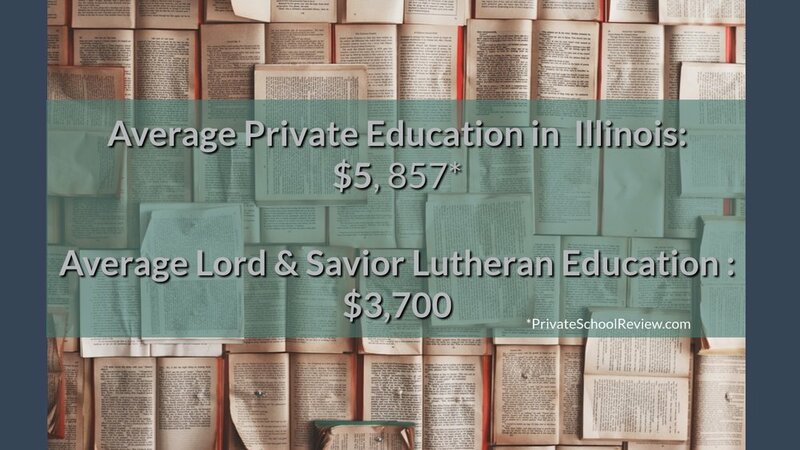 The SGOs then provide scholarships for students whose families meet the income requirements to attend qualified non-public schools in Illinois.